bauble.classic is a cross-platform program and it will run on unix machines like Linux and MacOSX, as well as on Windows. To install Bauble first requires that you install its dependencies that cannot be installed automatically. These include virtualenvwrapper, PyGTK and pip. 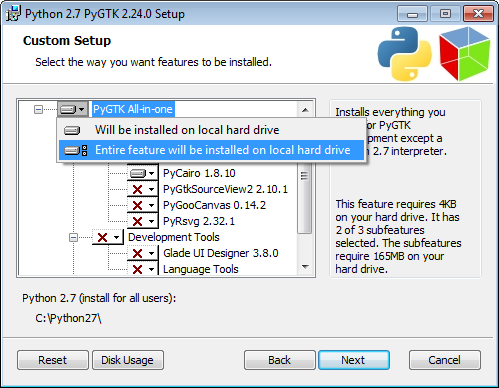 Python and GTK+, you probably already have. As long as you have these packages installed then Bauble should be able to install the rest of its dependencies by itself. 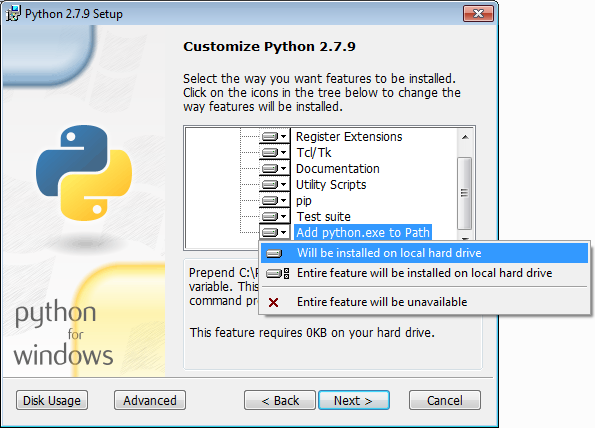 If you follow these installation steps, you will end with Bauble running within a Python virtual environment, all Python dependencies installed locally, non conflicting with any other Python program you may have on your system. if you later choose to remove Bauble, you simply remove the virtual environment, which is a directory, with all of its content. Please not that the script will not help you install any extra database connector. This you will do in a later step. You can study the script to see what steps if runs for you. In short it will install dependencies which can’t be satisfied in a virtual environment, then it will create a virtual environment named bacl , download the sources and connect your git checkout to the bauble-1.0 branch (this you can consider a production line), it then builds bauble, downloading all remaining dependencies, and finally it creates a startup script in your ~/bin folder. The same script you can use to switch to a different production line, but at the moment there’s only bauble-1.0 . on Unity, open a terminal, start bauble, its icon will show up in the launcher, you can now lock to launcher it. If you would like to use the default SQLite database or you don’t know what this means then you can skip this step. If you would like to use a database backend other than the default SQLite backend then you will also need to install a database connector. You might need solve dependencies. How to do so, depends on which Linux flavour you are using. Check with your distribution documentation. Being MacOSX a unix environment, most things will work the same as on Linux (sort of). One difficulty is that there are many more versions of MacOSX out there than one would want to support, and only the current and its immediately preceding release are kept up-to-date by Apple-the-firm. Last time we tested, some of the dependencies could not be installed on MacOSX 10.5 and we assume similar problems would present themselves on older OSX versions. Bauble has been successfully tested with 10.7 and 10.9.
developers tools: xcode. check the wikipedia page for the version supported on your mac. package manager: homebrew (tigerbrew for older OSX versions). follow all instructions on how to activate what you have installed. the rest is just as on a normal unix machine, and we have a devinstall.sh script for it. Read the above Linux instructions, follow them, enjoy. The current maintainer of bauble.classic has no interest in learning how to produce Windows installers, so the Windows installation is here reduced to the same installation procedure as on Unix (Linux and MacOSX). Please report any trouble. Help with packaging will be very welcome, in particular by other Windows users. 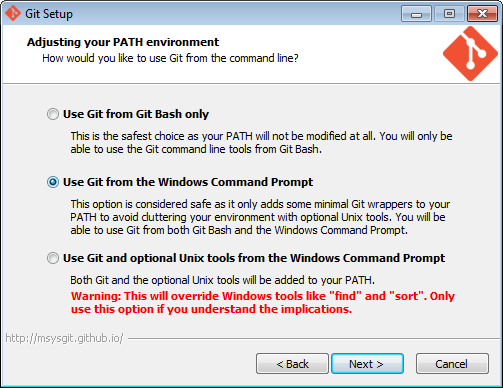 The steps described here instruct you on how to install Git, Gtk, Python, and the python database connectors. With this environment correctly set up, the Bauble installation procedure runs as on Linux. The concluding steps are again Windows specific. Bauble has been tested with and is known to work on W-XP, W-7 and W-8. Although it should work fine on other versions Windows it has not been thoroughly tested. Direct download links are given for all needed components. They have been tested in September 2015, but things change with time. If any of the direct download links stops working, please ring the bell, so we can update the information here. Bauble has been developed and tested using Python 2.x. It will definitely not run on Python 3.x. If you are interested in helping port to Python 3.x, please contact the Bauble maintainers. If you skip this step and can confirm you get the error, please inform us. Remember you need the 32 bit version, for Python 2.7. (optional) download and install a database connector other than sqlite3. hey, this is Windows, you need to reboot for changes to take effect! this will pull the bauble.classic repository on github to your home directory, under Local\github\Bauble, checkout the bauble-1.0 production line, create a virtual environment and install bauble into it. you can also run devinstall.bat passing it as argument the numerical part of the production line you want to follow. this is the last installation step that depends, heavily, on a working internet connection. the operation can take several minutes to complete, depending on the speed of your internet connection. the last installation step creates the Bauble group and shortcuts in the Windows Start Menu, for all users. To do so, you need run a script with administrative rights. The script is called devinstall-finalize.bat, it is right in your HOME folder, and has been created at the previous step. right-click on it, select run as administrator, confirm you want it to make changes to your computer. These changes are in the Start Menu only: create the Bauble group, place the Bauble shortcut. if you are on a recent Bauble installation, each time you start the program, Bauble will check on the development site and alert you of any newer bauble release within your chosen production line. If you would like to generate and print PDF reports using Bauble’s default report generator then you will need to download and install Apache FOP. After extracting the FOP archive you will need to include the directory you extracted to in your PATH. any error related to lxml. In order to be able to compile lxml, you have to install a C compiler (on Linux this would be the gcc package) and Cython (a Python specialization, that gets compiled into C code. Note: Cython is not CPython). However, It should not be necessary to compile anything, and pip should be able to locate the binary modules in the online libraries. For some reason, this is not the case on Windows 8.1. Please report any other trouble related to the installation of lxml. Unzip it and run python setup.py installw in the folder you unzip it to.